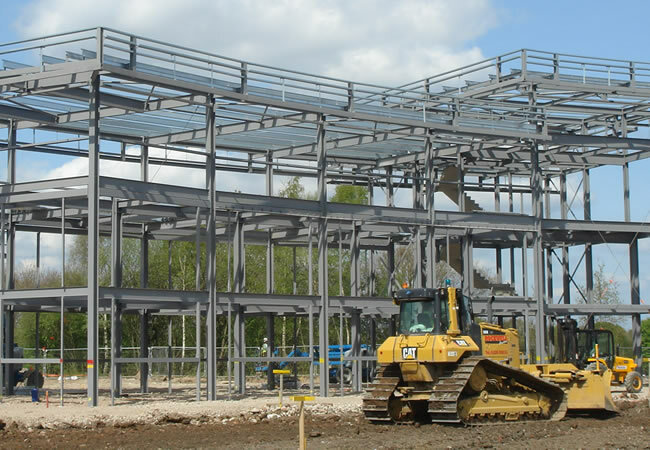 To provide demolition details and site enabling works designs that had to be agreed with MAN, as they were still using the site for their operations whilst their new headquarters were being constructed. 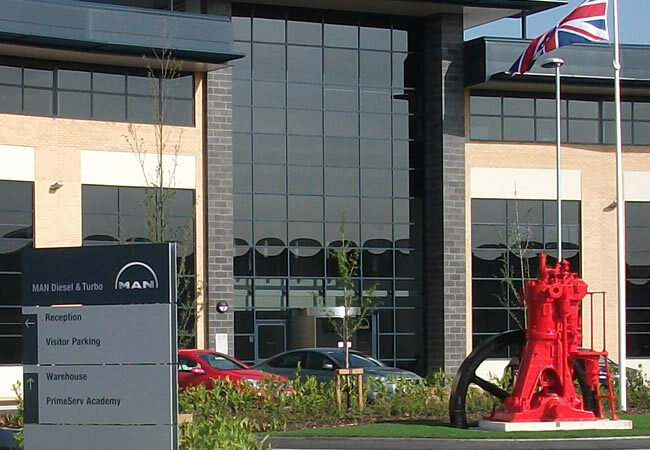 MAN Diesel sold its 30 acre site at Hazel Grove, Stockport to Commercial Development Projects in order to rent back a new UK headquarters building. 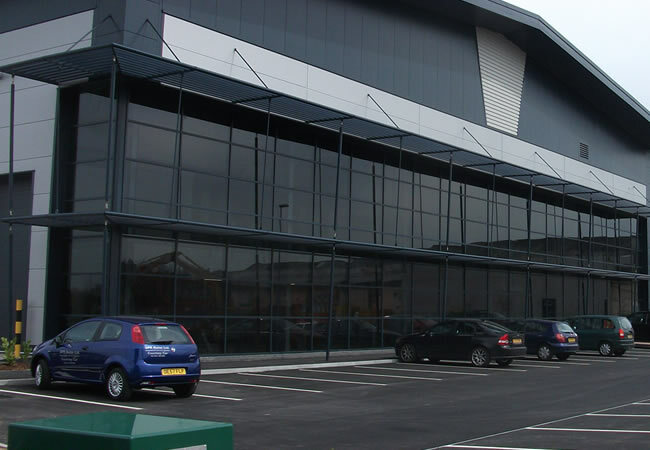 The redevelopment included MAN’s new office, totalling 20,000 sq ft, as well as a 90,000 sq ft production unit with associated access roads, service yards and car parking – also home to MAN Diesel’s first UK Academy. The existing facility housed engine beds used for testing submarine and ship engines. Adept managed to use some of these substantial bases as part of the permanent foundation design with the remainder of the building and offices supported on piles. The warehouse was a single storey, 10.5m high structure formed from twin span steel portal frames. The building contained a mezzanine floor, formed from metal decking supported on compositely designed beams. In addition, three gantry cranes within the structure were supported from steelwork independent to the main structure. The office building was a three storey steel framed structure incorporating upper floors constructed from reinforced concrete metal decking with 225mm raised access floor typically supported on compositely designed steel beams. The ground floor construction for both buildings was suspended fibre reinforced slabs supported on driven cast in situ piles with flared heads. A site-specific flood risk assessment was carried out by Adept. Floor levels and the drainage scheme for the site were based on the findings of this report, with large diameter surface water attenuation pipes provided to store and reduce surface water discharge off site in periods of heavy rain and relieve the burden on receiving drains and watercourses.